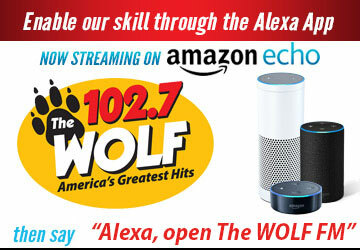 Hometown Hero - The Wolf 102.7 | America's Greatest Hits! Right now, we are searching for one special person, someone who has made a positive change in our community, someone who has gone the extra mile and made Sonoma County a better place to live. It could be a teacher who stays after school to help children read. It could be a nurse, police officer or firefighter who has saved a life. It could be someone you know that is quietly volunteering to feed the hungry or care for the less fortunate. Over the coming months we will be recognizing and honoring heroes in our community but we need your help. Nominate someone you have seen make a difference and they could be the next Hometown Hero! Your registration information is for the use of KWVF-FM only. We collect information in order to keep you informed of contests and events sponsored or promoted by KWVF-FM. KWVF-FM will not sell, rent or in any way distribute personal information supplied to us by you. The information you provide us stays with KWVF-FM only.